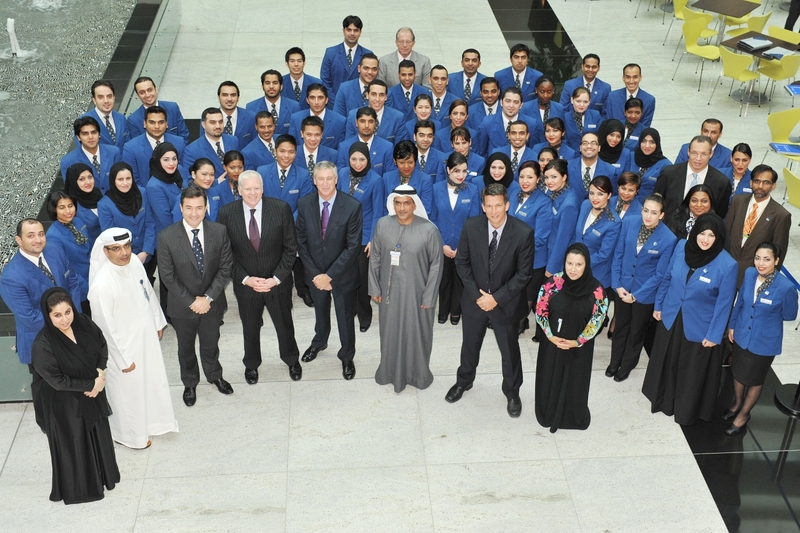 DUBAI, UAE – 24th January 2011 – Ready to proudly and proficiently represent Dnata at Dubai International Airport, 50 customer service agents from Dnata’s airport operations (DAO) team have graduated from their specialised training. At an auspicious ceremony held recently at the Emirates Group Headquarters, with the theme of ‘Our strength, our pride, our people’, graduates were each presented with a commemorative certificate. During their intensive training, which spanned some six weeks, the recruits covered a wide range of subjects and disciplines, including customer service, check in and boarding process efficiency, general safety, security awareness and image and uniform. Every aspect of the course was designed to ensure Dnata’s staff provide the very best service for the passengers of the 140 customer airlines flying into and out of DIA. In order to meet and exceed customers’ expectations of seamless and friendly air travel, Emirates Aviation College, in co-ordination with DAO customer services department, launched Project Etijah with the objective of re-designing the customer services training for new joiners into Dnata’s customer services department. The newly-designed training is customer-centric with every aspect of the training revolving around customer satisfaction. The training adopts a blended learning methodology with classroom, on-job and e-learning modules. It is a contemporary method in which trainees get a hands-on experience to check in and board customers through continuous role plays and simulations. The newly adopted training methodology creates a fun learning environment and keeps the trainees motivated and engaged throughout the programme. It has resulted in increased appreciation and positive customer feedback both from Dnata’s airline customers and their passengers travelling through Dubai. Since the training scheme was introduced in October 2009, more than 250 trainees have graduated from the rigorous course. Once they have done so, graduates undergo regular refresher training as well as further specialised training like airline-specific system familiarisation and in-depth product knowledge.